Are you wondering where to stay in Borneo for the most authentic experiences? We list the best rainforest lodges, quirky boutique hotels, and all-inclusive beach resorts in Borneo. Spot orangutans in misty rainforests, swim with turtles on paradise islands, and enjoy the colonial cities – while staying in carefully vetted hotels that won’t let you down. 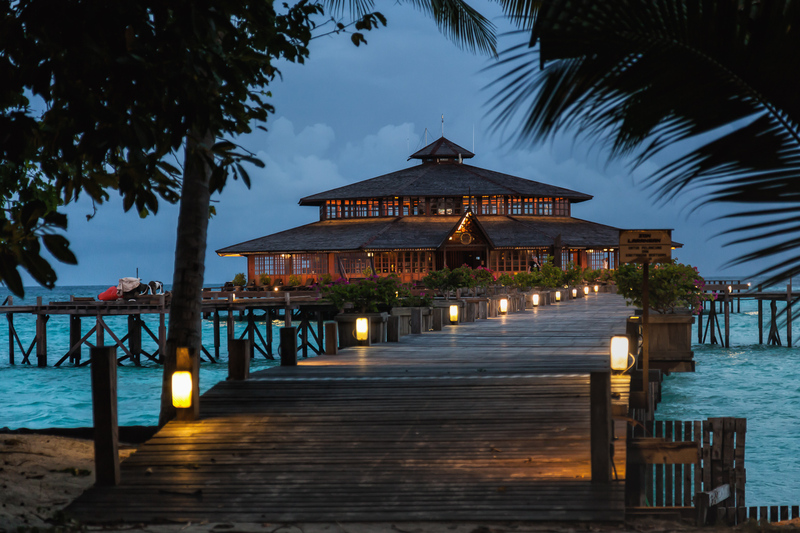 We have hotel recommendations to all budgets, from mid-range boutique hotels to the most luxurious lodges in Borneo, and the best budget accommodation options in each category. The award-winning Borneo Rainforest Lodge is the most luxurious eco-lodge in Borneo. It’s always ranked among the best wildlife lodges in Asia. 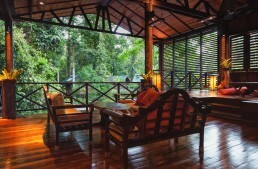 Borneo Rainforest Lodge is also the only lodge in Borneo, which lies inside primary rainforest and conservation area. 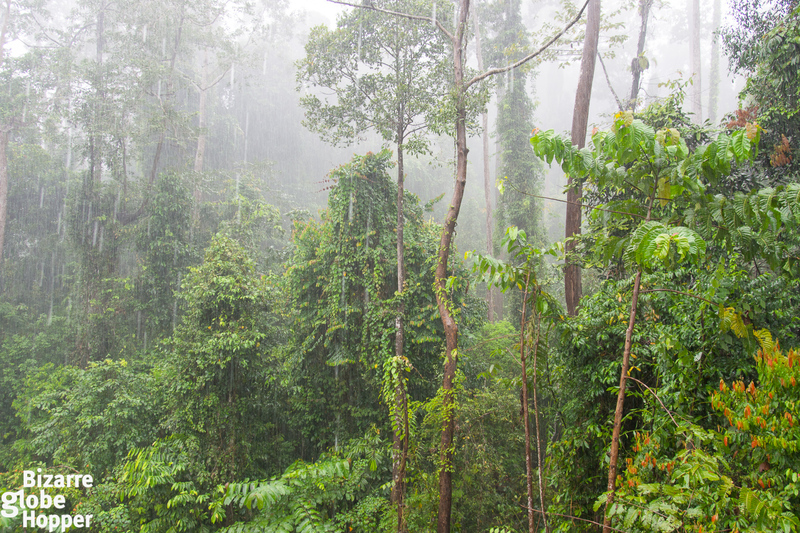 You’ll be surrounded by the vast, untouched rainforest, where no modern man has stepped. Think of ultimate luxury and seclusion combined with unique nature excursions with a personal naturalist guide. I’d pick Borneo Rainforest Lodge for our “10 Luxury Hotels to Stay Before You Die” list. Obviously, Borneo Rainforest Lodge is the best spot in Malaysian Borneo for authentic wildlife sightings. Hiking is allowed on private trails, which can take you to mesmerizing waterfalls, natural jacuzzi pools, dizzying viewpoints, and an ancient burial site. It’s possible to trek for a whole day chasing wildlife in their natural habitat. 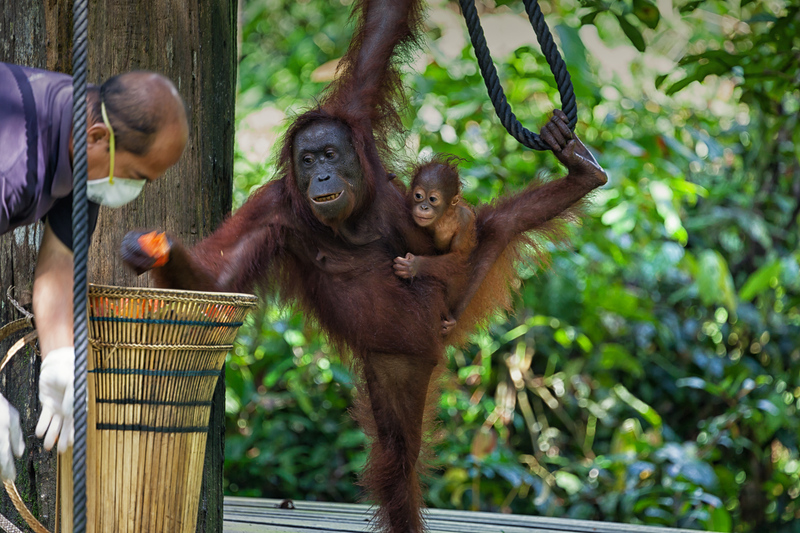 The varied all-inclusive activities are the best part of staying in Borneo Rainforest Lodge. We loved our early morning walks (up to 4 hours) and were lucky to spot several orangutans. In addition to various trails, you can swim and tube down the clear waters of Danum River, take night safari drives, or just admire the unique views towards the home of truly wild orangutans. 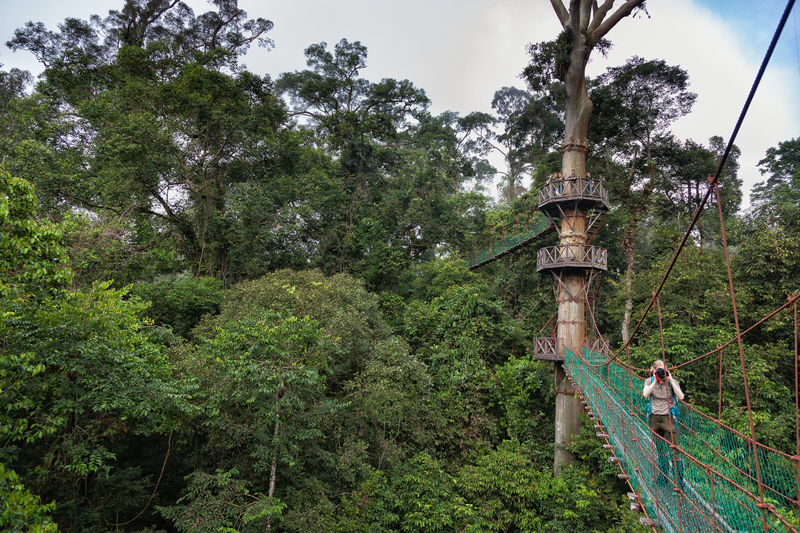 Don’t forget to visit the breathtaking canopy walkway, which has multiple viewing platforms! 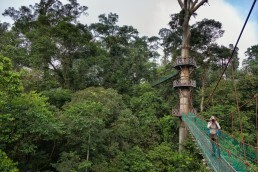 It’s simply the best canopy walk we’ve ever stepped on – and you can experience it in the privacy of your own hiking group. Check out the complete guide on visiting Borneo Rainforest Lodge and Danum Valley! 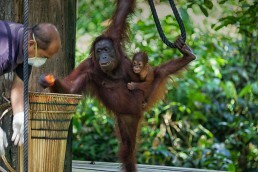 Borneo Rainforest Lodge has only 30 villas, built with locally sourced and sustainable materials. Deluxe chalets open to the ravishing Danum river (with private jacuzzis! 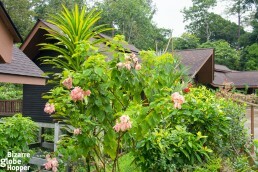 ), whereas standard rooms face the rainforest with the best chances of spotting wildlife from the comfort of your bed. Orangutans had nested right above our cabin just a day before we arrived! 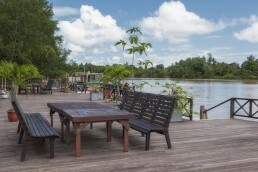 Borneo Rainforest Lodge is continuously ranked as the best lodge in Borneo. If you’re planning a luxury holiday in Borneo, be sure to include Borneo Rainforest Lodge into your itinerary! 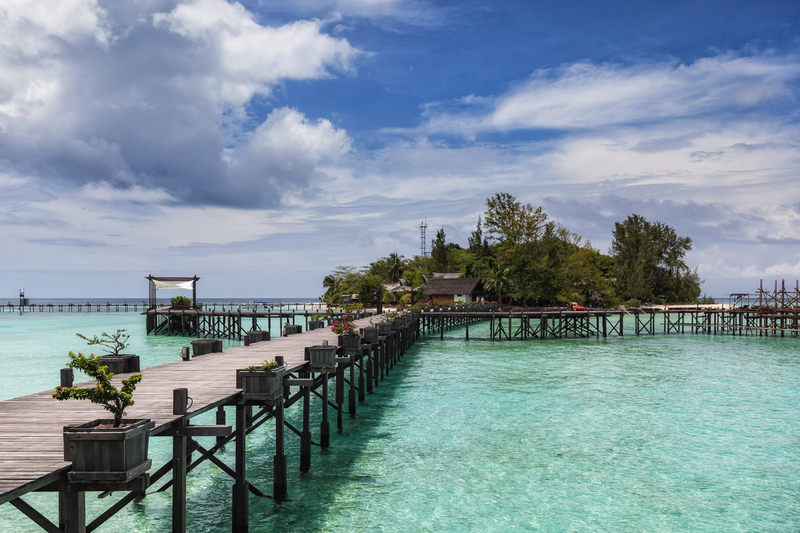 Click here to get inspiration for planning an itinerary in Sabah. All-inclusive rates of Borneo Rainforest Lodge cover 2-hour transfers from Lahad Datu (the nearest town and airport) – and daily activities with a professional naturalist guide. Driving through the vast secondary rainforest bordering the conservation area is an adventure as well: we spotted the rare Bornean pygmy elephants on both drives! 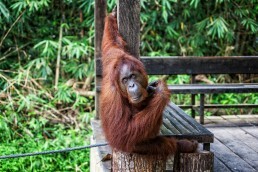 You can book your stay in Borneo Rainforest Lodge on their website or through your Bornean tour company. All-inclusive rates for a 3-day/2-night package in a standard double room start at $1100 per person. It’s hard to pick the best lodge in Kinabatangan River, which snakes for more than 500 kilometers from the Sulu Sea, through rainforests towards the mountains and “the lost world” of western Sabah. One of the richest ecosystems in the world is home to orangutans, proboscis monkeys, and countless of other exotic species – even the elusive pygmy elephants. 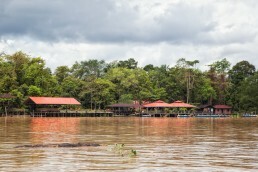 Most of the rainforest lodges in Kinabatangan River are clustered around the village of Sukau, where wildlife sightings are great, but constant boat traffic hinders jungle daydreams. If you have at least two nights to spare in Kinabatangan and yearn to experience the real magic of rainforest, book 2-day/3-night or 3-night/4-day Kinabatangan package that includes two separate lodges (and locations). We explored Kinabatangan with SI Tours staying in Abai and Sukau villages. Start your exploration by cruising from the port of Sandakan to the mouth of Kinabatangan river. Glide quietly downstream while spotting wildlife in the thick vegetation hanging over the river, stopping to admire a herd of proboscis monkeys or even orangutans if you’re lucky. 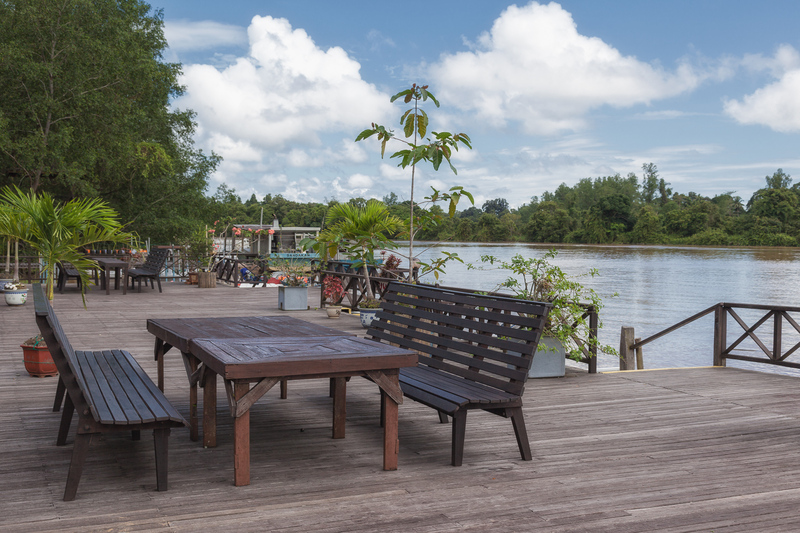 Spend a night at the simple Abai Jungle Lodge upstream. There are no roads and no other tourists in sight, just fairytale river vistas. Take private walks with your loved one on the elevated pathways at the back of the lodge and share the experience of living inside a National Geographic document. The next day, wake early to sip coffee admiring the magical morning mist upon the river. Take a cruise to the Pitas Oxbow Lake spotting wildlife and zigzagging through a narrow channel and strangling fig-trees. Enjoy an exclusive jungle breakfast in the company of macaques and wild pigs. To experience all that Kinabatangan River can offer, cruise all the way down to Sukau village and spend the other night in the eco-chic Kinabatangan Riverside Lodge. 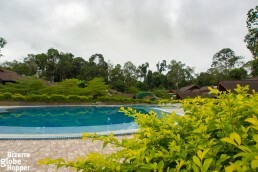 We loved the true wilderness feel of Abai Jungle Lodge. Combining it with Kinabatangan Riverside Lodge made our Kinabatangan River adventure just perfect. 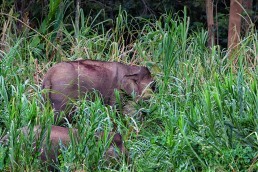 During our transit day from Abai to Sukau, we saw 6 orangutans and a herd of rare pygmy elephants! 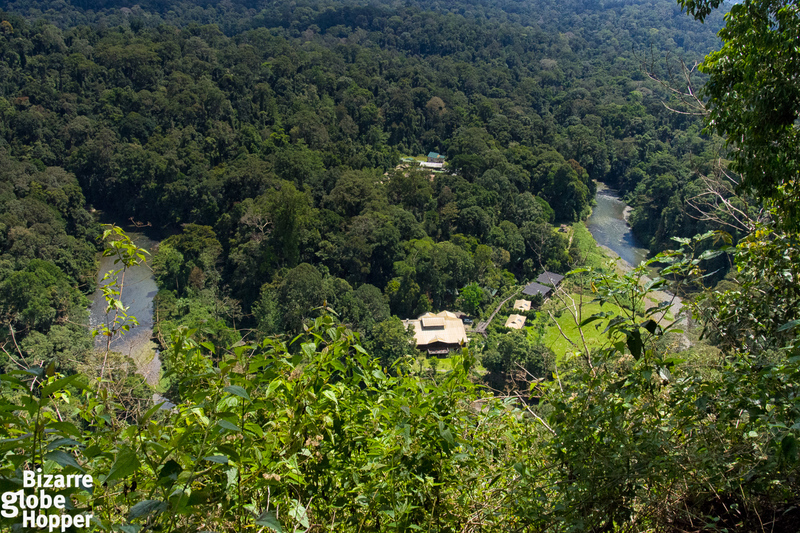 Both lodges have gorgeous terraces overlooking the river and private, elevated pathways for exploring the jungle. 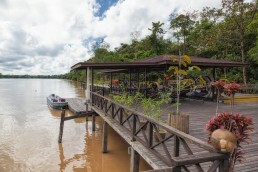 Kinabatangan Riverside Lodge is considerably better, or more upscale, than more simple Abai Jungle Lodge. But deluxe rooms in Abai Jungle Lodge are nice enough for one night stay, and the location is more serene than Sukau area. If you’re looking for a relaxed Kinabatangan River exploration, book all-inclusive stay in Borneo Nature Lodge. The best and the easiest way to reach Kinabatangan River from Sandakan is to take a tour or book all-inclusive rainforest lodge. In theory, you can get either drive or negotiate a transfer to Sukau village and most lodges offer cruises. There are no public boats. We loved to explore the Kinabatangan River from its mouth to all the way to the Sukau and Bilit areas – one of the advantages of taking a guided tour and staying at two separate Kinabatangan lodges. MY Nature Resort was our first jungle lodge in Borneo, offering just a perfect introduction to the treats of the rainforest. 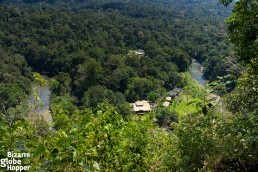 MY Nature Resort is tucked away from the other lodges and the Sepilok highway, offering an authentic jungle feel. Still, it’s a short walk from Rainforest Discovery Center, the third draw in Sepilok after the orangutans and sun bears. The additional perks: the property is new and has the only pool in Sepilok (for now) and you are free to explore the surrounding rainforest on the elevated pathways. Flying giant squirrels show off at the restaurant’s terrace every evening: watching them glide past while munching fried bananas is evening entertainment at its best! 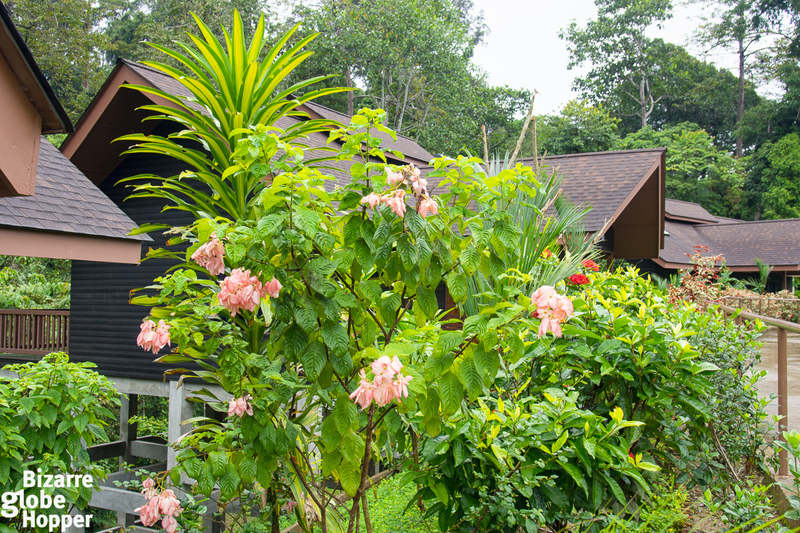 Our cottage had a huge, private terrace overlooking the rainforest canopy – ask for a view. The accommodation package includes tickets and guided tours of orangutan and sun bear sanctuaries and shuttle transfers from the hotel (twice a day, just 5-minute ride). You’ll also get own guide who can lead nature walks. Planning to include Sepilok in your holiday in Borneo? Check out the best things to do in Sepilok for inspiration! 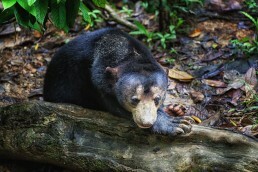 We also have a separate article on visiting the sun bear sanctuary in Sepilok – check out how cute these tiny bears are! This one is easy: just fly into nearby Sandakan from Kota Kinabalu or take a bus. Taxi from Sandakan takes less than 30 minutes. Special thanks for these handpicked lodges for helping us arrange our adventures in Borneo. 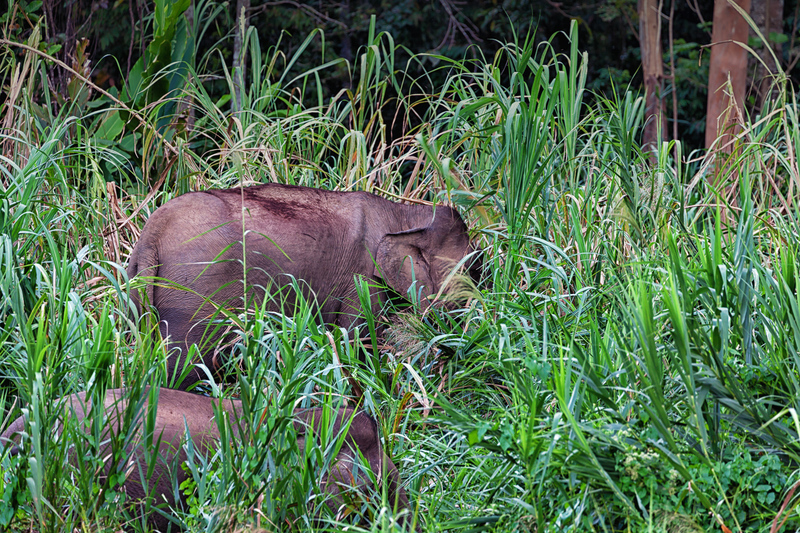 If you are planning a trip to Borneo, check out our detailed 2-week itinerary for inspiration! If you have visited Malaysian Borneo, which were your favorite lodges and why? 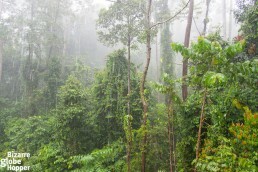 Stunning view to the rainforest from our private terrace in MY Nature Resort - it rains in the rainforest! While most other islands in Borneo are already crowded, Lankayan remains a remote paradise for snorkelers and divers, or anyone seeking a secluded tropical island. 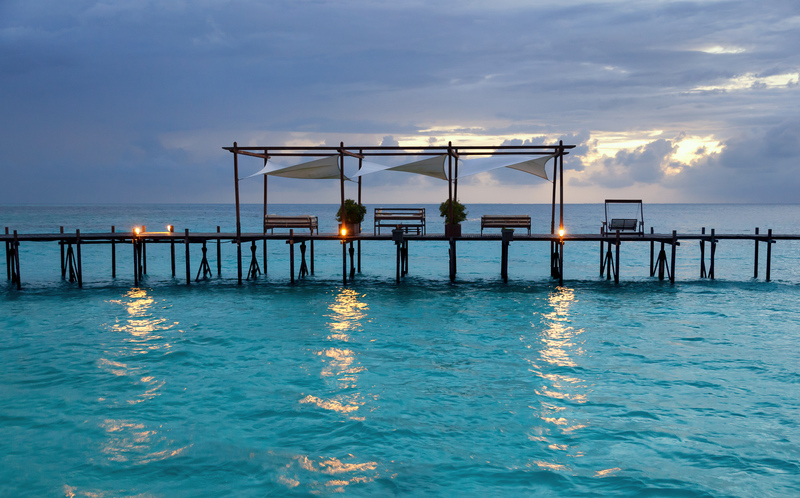 Lankayan has just one exclusive dive resort and blissfully empty stretches of powdery sand. 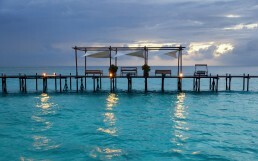 I can happily rank Lankayan Island Dive Resort among the best dive lodges in Borneo. On Lankayan, the Sulu Sea glimmers in the most perfect shade of turquoise, mixing with the hues of blue, inviting you for a refreshing dip. Float quietly to witness the paradisiac scene, wondering if you’re really there, before exploring the underwater treasures, which include healthy reefs, clouds of colorful fish, playful turtles and exciting rarities like jawfish. 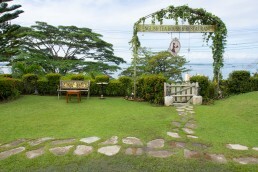 In Lankayan Island Dive Resort, you can feed you Robinson Crusoe fantasies with all the modern comforts. All the cottages are right on the shore. We stayed in #25, the second last one, which stands on stilts, both upon water and sand, and boasts unobstructed views of the turquoise ocean. For the ultimate win, I’d recommend #26, but in Lankayan, you always win. Here you can read our separate article on snorkeling in Lankayan Island. Both Lankayan Island Dive Resort and previous Borneo Rainforest Lodge are listed as the best all-inclusive resorts in Borneo. Fly, drive or take a bus to Sandakan, a coastal town in Sabah area of Malaysian Borneo. The all-inclusive rates of Lankayan Island Dive Resort include transfer from the airport or Sandakan city to the port and 1,5-2 hours’ speedboat trip to Lankayan Island. Can I ask how you booked your stay in Lankayan? I’m finding it hard to find an official website or anything. Is it routine to book through an agent?